Deadline brings word that Netflix has greenlit the half-hour adult animated comedy-series Q-Force with a 10-episode order. 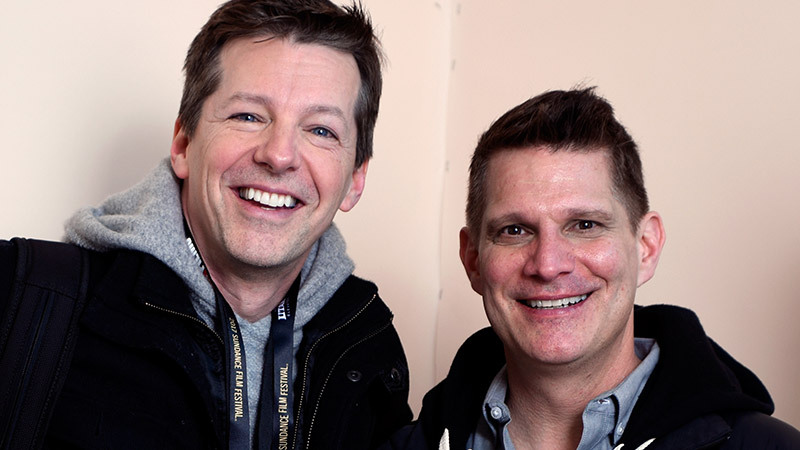 The LGBTQ show comes from Sean Hayes (Will & Grace) and Todd Milliner’s (Grimm) Hazy Mills, marking their first animated and streaming series, Gabe Liedman (Brooklyn Nine-Nine, PEN15), Mike Schur’s (The Office, The Good Place, Brooklyn Nine-Nine) Fremulon, and Universal TV. Q-Force follows a handsome secret agent and his team of fellow LGBTQ superspies. Constantly underestimated by their colleagues, the members of Q-Force have to prove themselves time and again as they embark on extraordinary professional and personal adventures. “A spy TV series is so tough, because they’re so expensive. We were thinking how do we get to do gay spy and every week, and the only way to do that is animated, because we can do all of the fun parts of a James Bond film. We can travel, we can have big chase sequences; animation is allowing us that freedom,” said Milliner. “It does seem like it’s one of the last bastions of masculinity that seems like we can’t break the rule of who gets to play that part,” said Milliner. Liedman serves as writer, showrunner, and executive producer on the series. Schur, Hayes, and Milliner will executive produce alongside David Miner for 3 Arts. Universal TV will co-produce with Hazy Mills, Fremulon, and 3 Arts Entertainment.